Proud to announce that The URB CLV is the first member from Macedonia to join the Wonderland network. 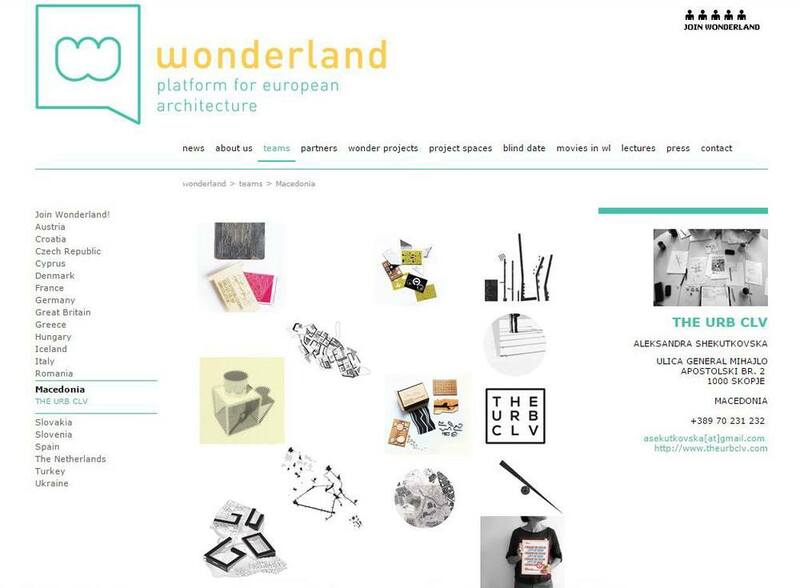 Wonderland - platform for european architecture is a Vienna / Austria based network for exchanging experiences, information and knowledge for young Europe-oriented architecture practices. Wonderland is an open architecture and urbanistics network, where information and know-how is shared.